Join the discussion on our forums! Come discuss Desperate Measures over in our dedicated Desperate Measures discussion topic. Twinspell Cast a random Paladin Secret. Desperate times call for disparate secrets. i thinkt this isnt just playable i thinkt this is actualy pretty sick. 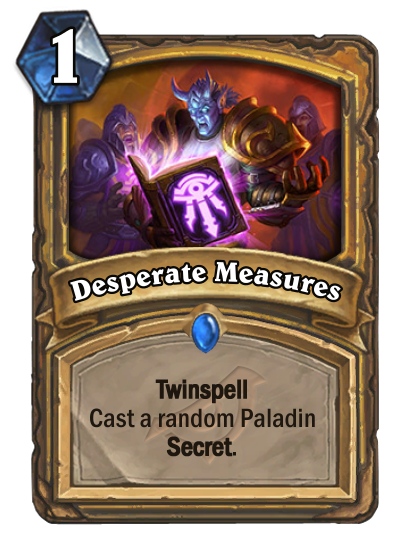 If you play secret Paladin Desperate Measures is a auto include. Everyone, remember: This is a thing.